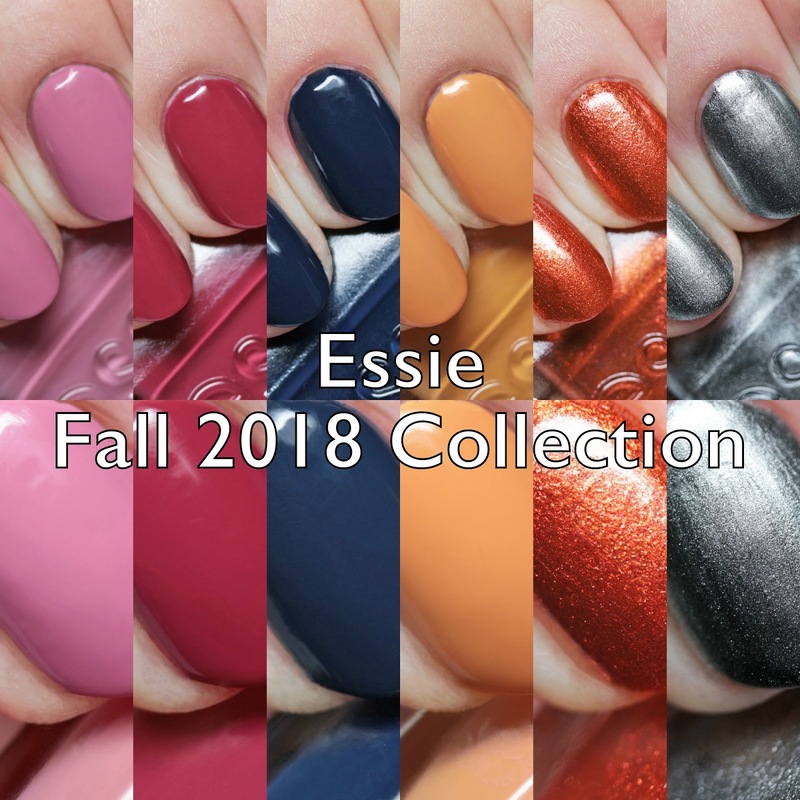 Next up on the blog is Essie's Fall 2018 Collection, with a New York theme! 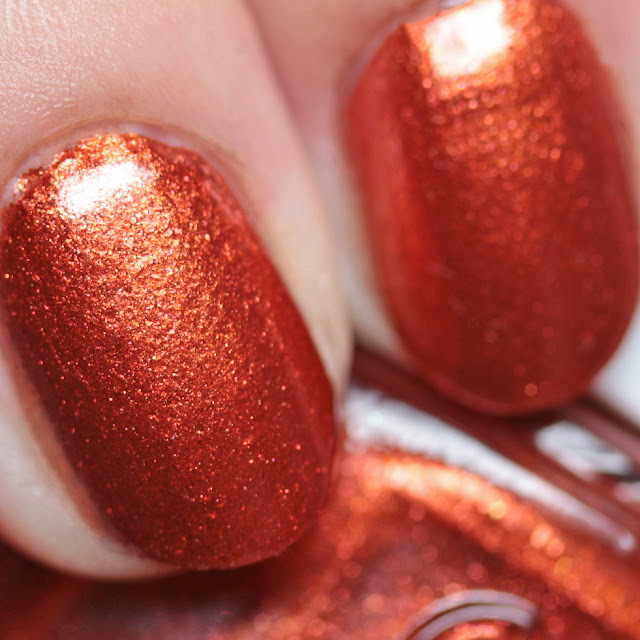 This selection includes some fall-type cremes along with a couple of strong metallic finishes. More after the break! 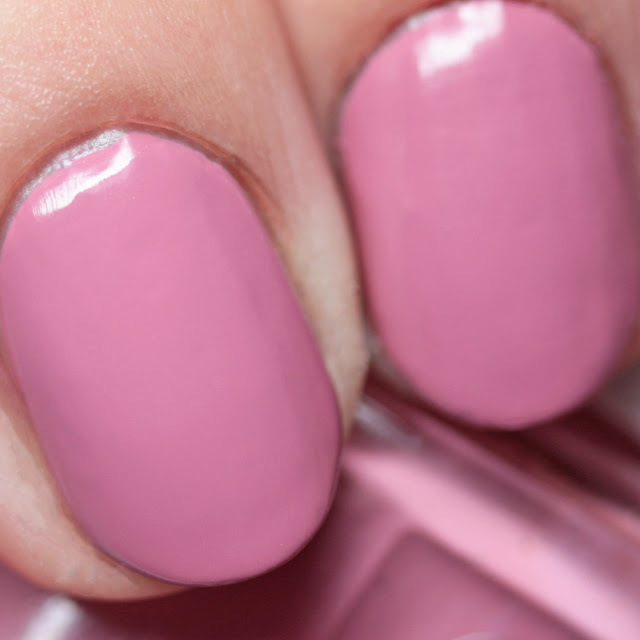 Essie It Takes a West Village 1526 is a cool amaranth pink creme, shown here in two thin coats. It has a medium-drying formula. It dries slightly darker and pinker than it appears in the bottle. 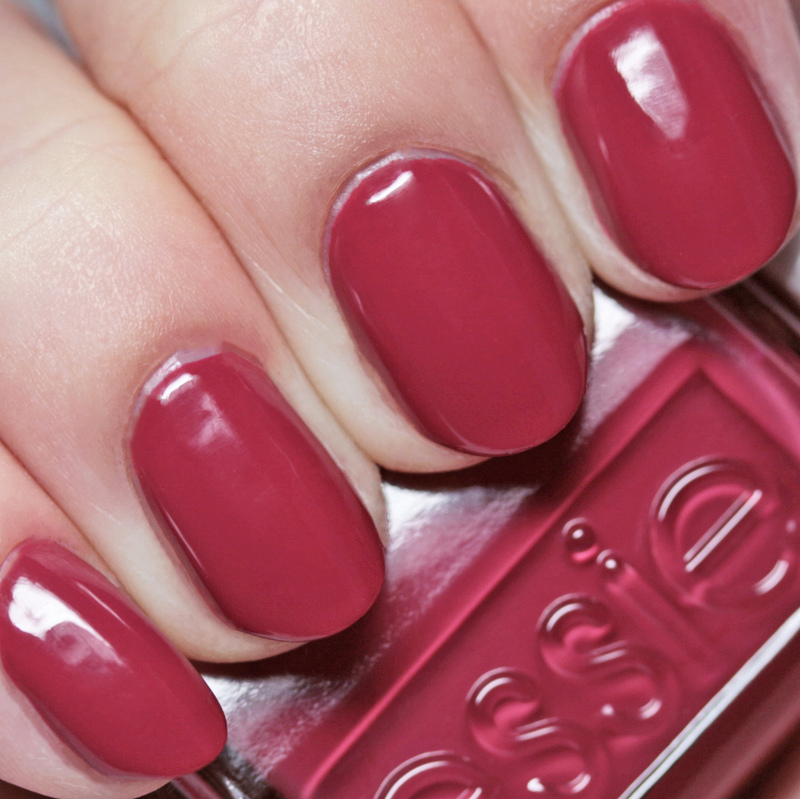 Essie Stop Drop & Shop 1523 is a light burgundy creme. 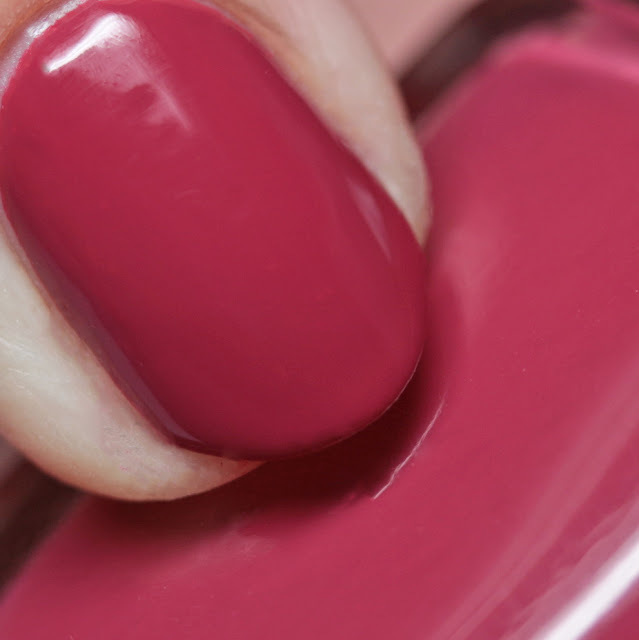 It is shown here in two thin coats and has a smooth, medium-drying formula. 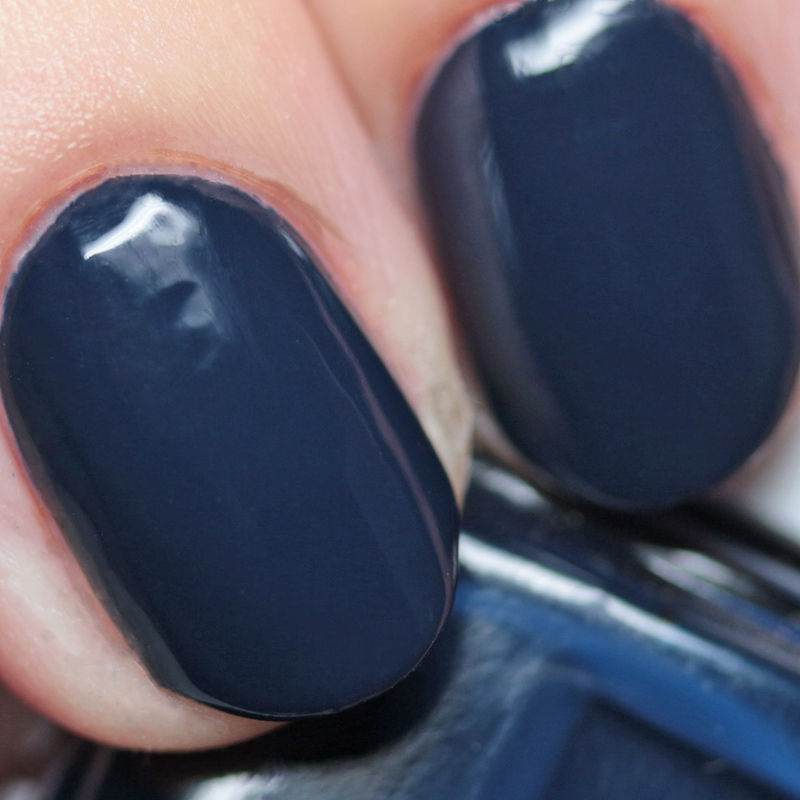 Essie Booties on Broadway 1525 is a navy blue creme. This will cover in one or two coats and has a nice medium-fast dry time. Essie Fall for NYC 1527 is a mustard yellow creme, worn here in two thin coats. 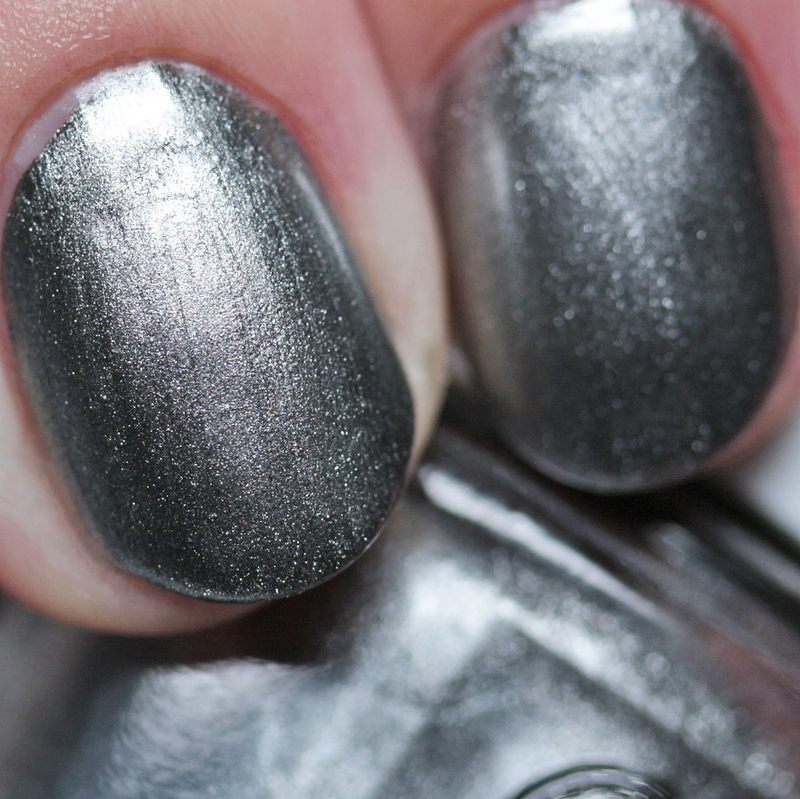 Nice, opaque medium-drying formula. It drys a little darker and oranger than it appears in the bottle. 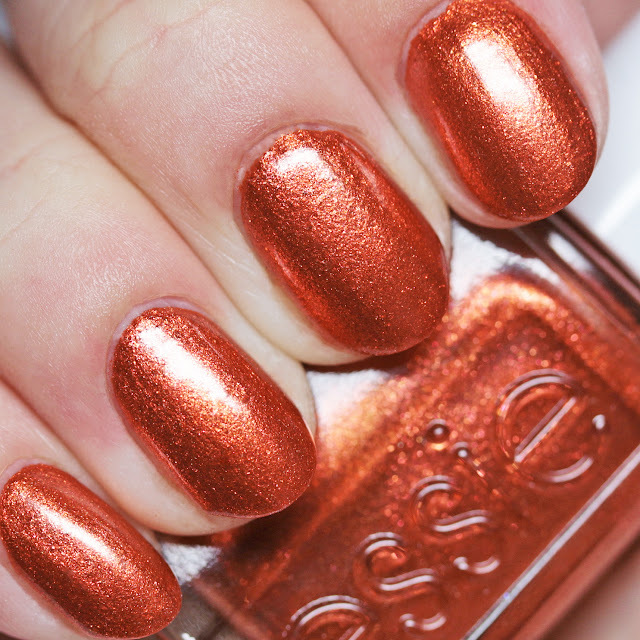 Essie Say It Ain't Soho 1522 is a copper foil, worn here in two thin coats, but one will do. 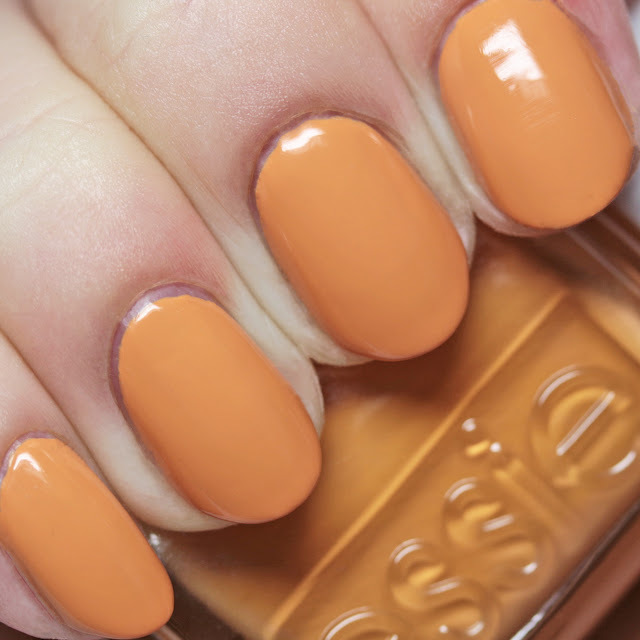 It is a bit thicker than a normal Essie shade but is manageable. It has a medium dry time. 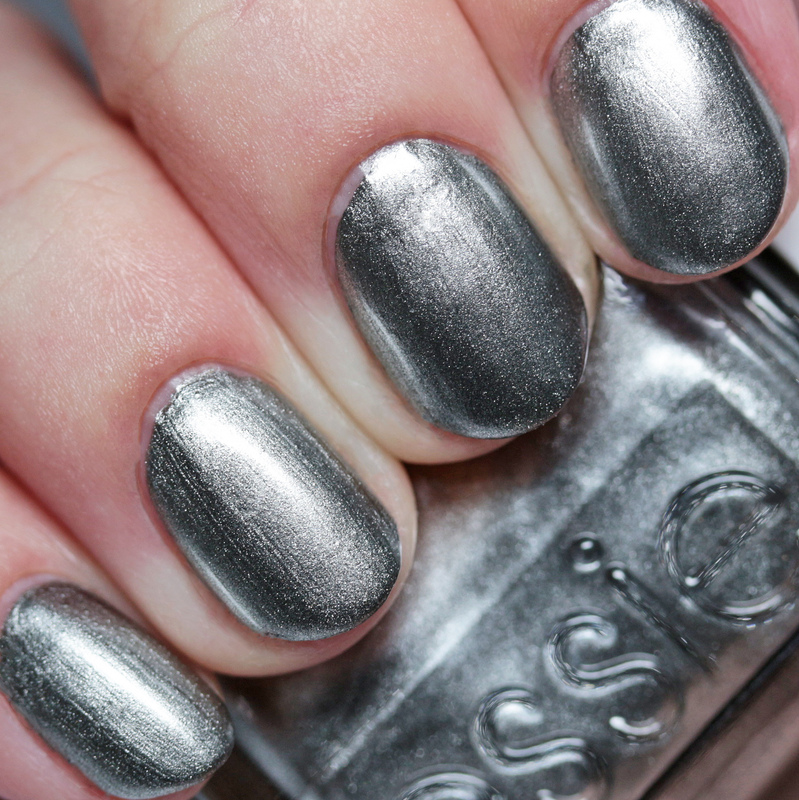 Essie Empire Shade of Mind 1524 is a gunmetal metallic. This will cover in one coat but I used two. 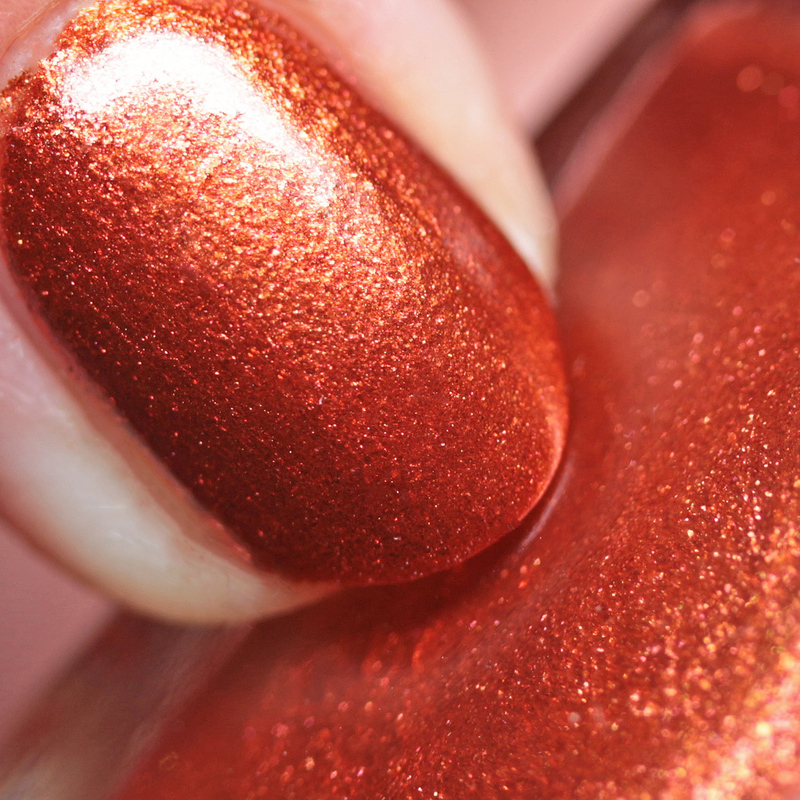 This is a super-opaque shade that may work well for stamping. 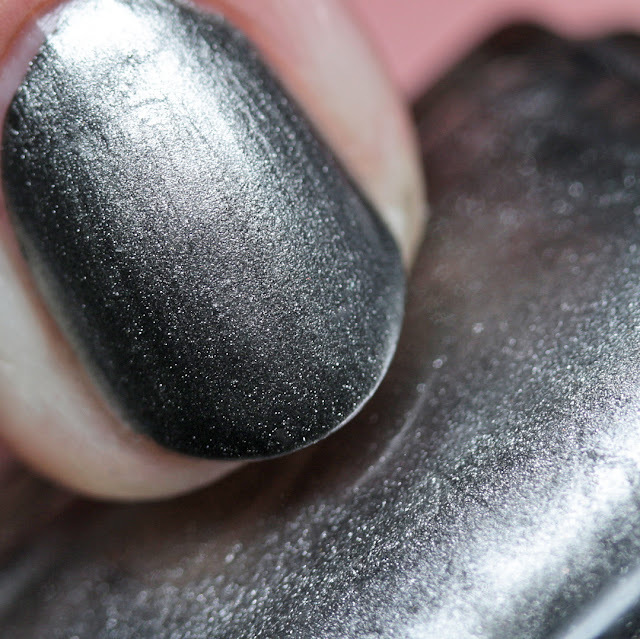 It has a strong metallic sheen but is not prone to brush strokes. Nice, quick dry time. 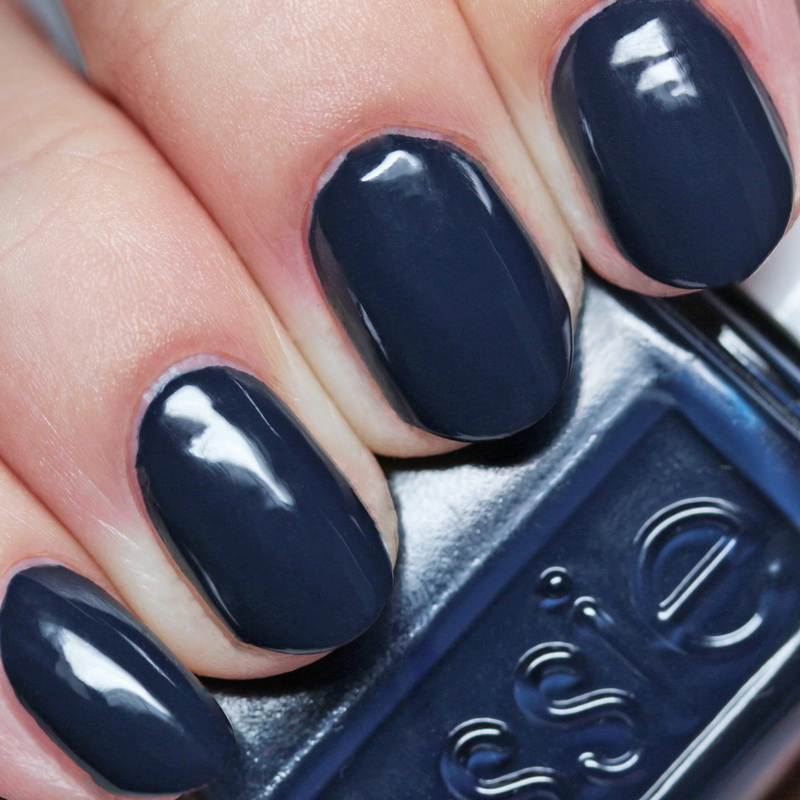 I feel like the Essie Fall 2018 Collection's somewhat edgy colors match its New York theme nicely. The addition of a couple metallics, one smooth and one foil, adds a nice variety. Do you have a favorite here? 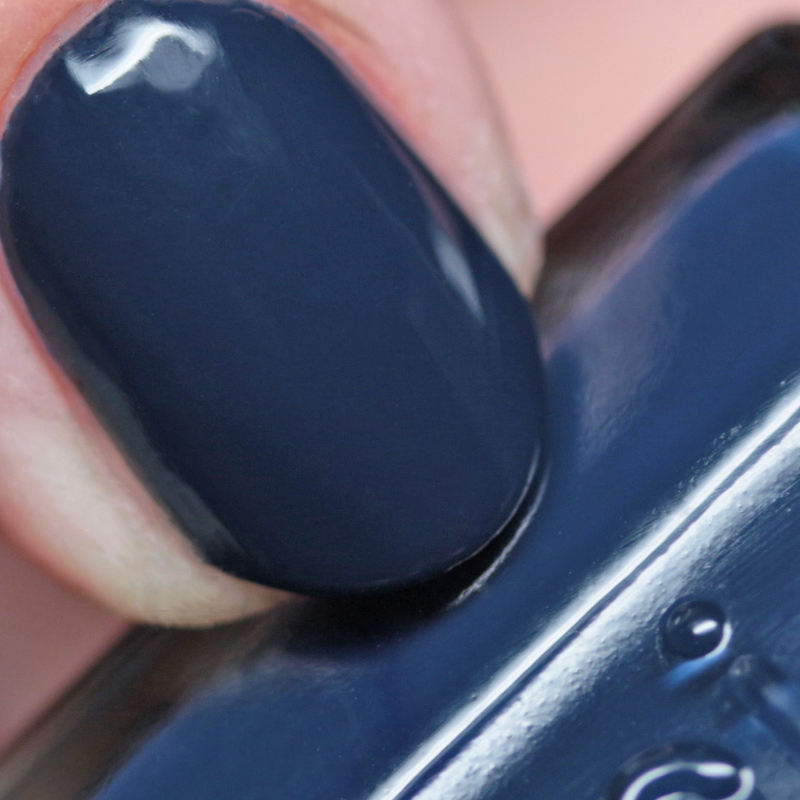 I am partial to deep blues like Booties on Broadway!